Gold and silver leaf and powder are materials that allow artisans to achieve the highest level of beauty in their creations. Their luster brings a deep refinement to traditional handicrafts such as lacquerware, decorative fans, and Buddhist altars and associated implements. 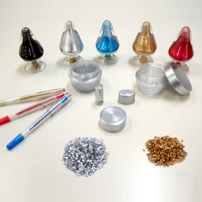 To bring the enjoyment of gold and silver leaf and powder to as many people as possible, OIKE has brought innovations to the traditional techniques that cut costs by reducing labor and boosting production volumes. OIKE's distinctive “Takasago” gold and silver leaf products are making an important contribution to the development and dissemination of traditional handicrafts of all types.“ELgee neo” metallic powder marks an even further advancement of this technology. 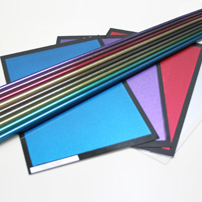 Available in a rainbow of colors and with its brilliant luster, the“ELgee neo” product line has applications that extend beyond the traditional arts to include coating of leather goods, metallic printing and plastics molding. The uses for this lightweight, high-gloss metallic powder include ink for silk screening, household electronics and appliances, and paints of various types and plastics molding. 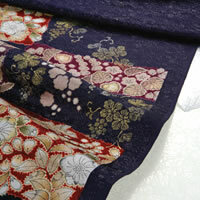 This is a modern, mass produced version of traditional Kanazawa gold and silver leaf. Providing high quality at low cost, it is relied on by craftsmen who make fine Buddhist altars and implements, lacquerware, and the like.